Karnataka is rich with history, yet it is often thought of as second best to other tourist destinations such as Goa, Kerala and Tamil Nadu. 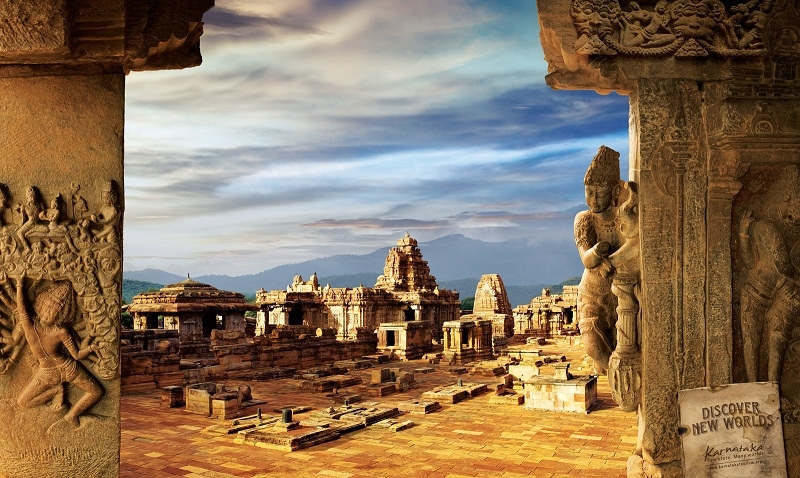 With its archaic monuments, temples and forts, Karnataka tourism has a lot to offer anyone who visits it. You will have memories filled with nature, history and beaches when you enjoy the wonderful places to visit in Karnataka. Visit the bustling city of Bangalore to explore a rich melting pot of ethnicities and cultures. Bangalore is a city that takes pride in its home. Everyone speaks English and you are sure to find an adventure that fits your mood and style. Enjoy a variety of art and history museums or take a stroll through any one of the parks and gardens. Take a tour of any one of palaces, temples or churches to explore its deep spiritual and architectural histories. While visiting Bangalore, indulge yourself in a lazy boat ride as you view the picturesque islets. Explore what it is like for a Jain pilgrim in pursuit of absolution by climbing the 600 steps to the top of Shravanabelagola. You will be rewarded with a glimpse of Asia’s tallest monolithic statue, the 52-foot statue of Bahubali. Over the past 1000 years, pilgrims and tourists have been able to follow his gaze out to a beautiful scenic landscape. This Jain bastion is still home to many basadis and is a vital part of their pilgrimage. Get an ultimately relaxing vacation when you visit Gokarna. In this sleepy town you can be and do whatever you want while you daydream away. With sandy beaches, quiet coves, exquisite sunsets, rugged cliffs and quaint temples, you will find something that will help you relax. Full of beach shacks you can idle away your time gazing out on the Arabian Sea, or take a boat ride down the shore line and visit hidden coves and shoreline. Enjoy a relaxing day at the beach, boat ride with dolphin watching or get more adventures with jet-skiing and exceptional food. Whatever you make of it, enjoy a few days in Gokarna. When considering about the Karnataka tourism, try to make Chikmagalur one of your destinations. Covered in lush greenery, Chikmagalur is known for its variety of coffee plantations. Experience the sensational local coffees or explore the rolling hills and pristine pools. With misty mystical woods, the geography of Chikmagalur is one of great beauty. If you are feeling more adventurous, take a hike up to the highest peak in Karnataka or a 10 kilometer trek to the cascading Habe Falls. Or, enjoy a safari to view all the local fauna in their natural habitats. Surrounding the calm waters of Agastya Lake is Badami. Flanked by two sandstone hills and sandstone Bhootanatha Temples, Badami is definitely a place of beauty and history. Both man-made and natural wonders tell the story of the Badami Chalukyas who inhabited the area hundreds of years ago during their dynasty. Take a hike up the steep hills to explore the four cave temples of the past. Each temple, one upon the other, tells its own historical stories through its enticing carvings of myths and legends. Once you make the climb, be sure to rest a bit as you take in the breathtaking view. 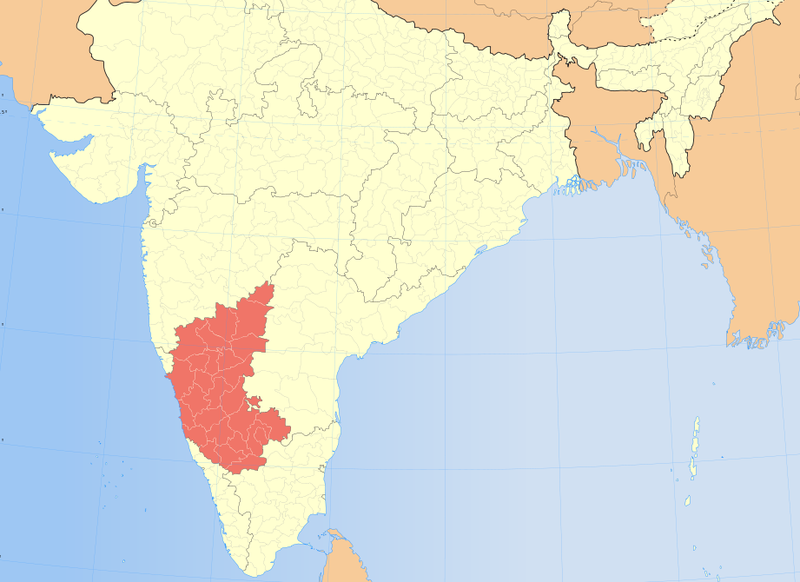 The mountainous Coorg in southern Karnataka is not far from Bangalore. Explore the cascading waterfalls, roaring rivers and wildlife sanctuaries in Coorg as you take in the beautiful view of lush coffee plantations. While in Coorg, take a tour through its elegant temples, churches, forts and palaces to discover its rich history. Whether you decide to view the picturesque waterfalls or tour the coffee plantations, you will have a breathtaking vacation. Known as the City of Palaces, Mysore is bound to impress with its royal architectural beauty. Take a tour of the palaces or visit the temples and other buildings to explore the culture of Mysore. You don’t want to miss the Mysore Zoo for a collection of exotic animals. If you are visiting during the beginning of autumn, you can indulge yourself in the Dasara festival, a 10 day festival that honors the Mother Goddess with dance, music, dress and worship. For a more relaxing vacation, Mysore is a great place to spend your days practicing Ashtanga yoga. Once being the capital of the Chalukya dynasty, Aihole could definitely be called the city of temples, which is no doubt one special aspect of Karnataka tourism. With over 100 temples dating all back to the 5th Century C.E. you will find a full, rich historical story within the cradle of temple architecture. The two main groups of temples are the Kontigudi group and the Galaganatha group. Enjoy your day exploring the beautifully rich architecture along the Malaprabha River. Thought of as being consecrated to Sri Ranganathaswamy, Srirangapatna is an island in the Kaveri River. This island is a place of pilgrimage and was the capital city of Mysore during the reign of Tipu Sultan. The most famous temple is the Ranganathaswamy temple. Bird enthusiasts visit the acclaimed Rangantittu Bird Sanctuary to see several bird species including the painted stork, open-billed stork, great stone plover and Indian shag. Upstream, just 27 kilometers from the town is the second largest waterfall in India, the Shivanasamudra Falls. Officially known as Rajiv Gandhi National Park, Nagahole National Park gets its name from the river that snakes its way through the park. With vibrant forests, streams, calm lake and untouched wilderness, Nagahole is a fantastic place to safari. It is best to visit during March and April when the waterholes dry out and the animals have to come out to the lake. You can see over 250 different types of birds, elephants, tigers, bison, leopards and wild boar.